When looking to escape the hustle and bustle of New Orleans, many cocktail aficionados turn back the clock by stepping up to the bar at Bellocq. 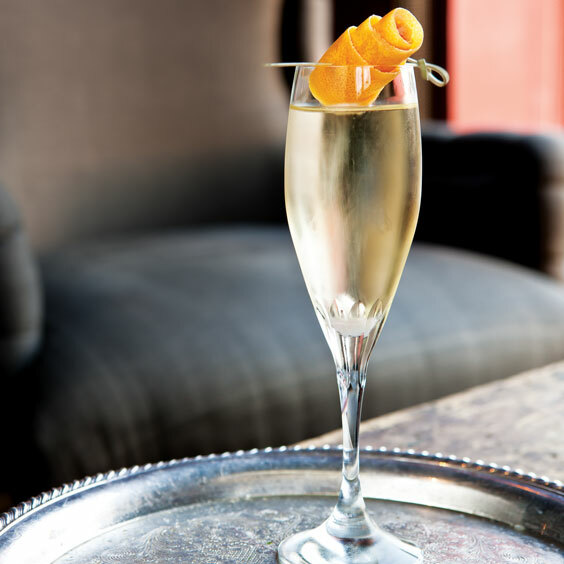 This cozy lounge in the newly remodeled Hotel Modern was conceived by Neil Bodenheimer, Kirk Estopinal, and Matthew Kohnke—the team who created Cure—and captures the spirit of a pre-Prohibition vibe with cobblers, punches, and concoctions such as this lovely midwinter Champagne cocktail. To a small bowl, add the sugar cube. Place Campari and rose water on the sugar cube. Fill a Champagne flute or coupe glass with Champagne. Drop the sugar cube in the glass. Garnish with a twisted orange peel or rose petals lightly misted with rose water.